You can check your test results online! 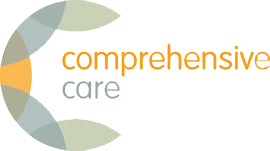 We are a Cornerstone Accredited practice (since 2008).This certifies a high standard of general practice care and we are assessed every 3 years by the Royal New Zealand College of General Practitioners. We take pride in ensuring high standards are consistently met. We are a long established family practice and we are passionate about providing our patients with quality healthcare. We provide expertise in healthcare as well as ensuring you and your family feel welcome and supported in your needs. We welcome you to our practice. We strive to provide quality and affordable healthcare. Enrolment at our practice will ensure you can access care at a funded or subsidised rate, which means you pay a reduced consultation fee. You will also be able to use our range of online services.